A new Star Wars illustration was commissioned by Corey Rogers, a Star Wars fan who found my "Once Allies" in the Star Wars Galaxy Series 4 card set recently. He was compelled to get in touch and wondered if he could commission me to paint companion piece to the "Once Allies" base card illustration. The Galaxy 4 art I created showed a young Dooku alongside Jedi Master Yoda, in battle, on the same team. 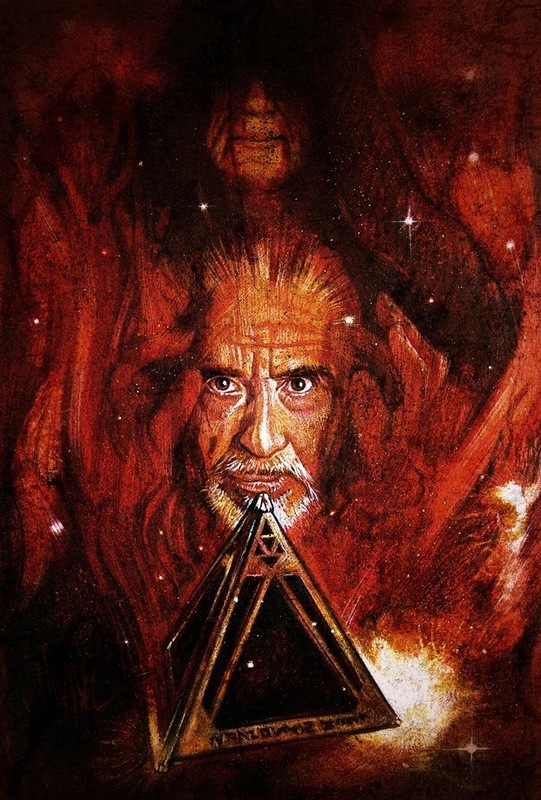 It was a play on the fact that Yoda mentions in Episode II that Dooku was once his apprentice... that was the main catalyst for the painting. Upon receiving his email, I read the outline of what he had in mind, "in which Count Dooku, now Darth Tyrannus, is opening a Sith holocron with his new master, Darth Sidious." it sounded great and I really liked the idea of showing the next key moment in Dooku's story, that being his fall to the Dark Side. So these illustrated scenes are from strories that actually pre-date the Star Wars prequel films. Hope you enjoy them, and Corey, your painting is on its way to you!